Slow cooked crockpot Boston Baked Beans! These homemade baked beans are easy to prepare and have loads of molasses flavor. Great with hot dogs or franks! Ever wonder why Boston baked beans are called “Boston” baked beans? It’s the molasses. Boston has been tied to molasses since colonial days when the city was a trade center for rum from the Caribbean. Molasses is used for rum production and is a by-product of sugar refining and was easily available to the colonists. And then there’s the Boston Molasses Disaster of 1919, when a huge tank of molasses exploded and sent a sea of the gooey stuff flooding the streets of the North End. I lived in the North End of Boston in the early 80s and at the time you could still pick up a faint scent of molasses on a hot summer day. (great book, btw), either sugar or calcium will make beans hard, even after long hours of cooking. Molasses contains both sugar and calcium, which is why adding molasses to a pot of beans will enable you to cook the beans for what seems like forever, without the beans getting mushy. But it also means that if you cook the beans in molasses to get that wonderful flavor, you have to cook them a good long time. Although traditionally cooked in an oven, Boston baked beans lend themselves perfectly to slow cookers, which is the method we prefer here. Why pre-soak the beans? You don't have to (see this great Russ Parsons article in the LA Times about why you don't need to soak beans), but not doing so in this recipe will increase the cooking time. With the beans pre-soaked, they'll still take 8 hours to cook and soften in a slow-cooker. Once beans come in contact with the molasses, the sugar in the molasses will keep the beans firm. That's why they take so long to cook. 1 Soak beans in water: Place beans in a large pot and cover with 2 inches of water. Soak overnight and drain. Alternatively, bring a pot with the beans covered with 2 inches of water to a boil, remove from heat and let soak for a hour, then drain. 2 Mix molasses, brown sugar, mustard, ground cloves with water: Whisk together the molasses, brown sugar, mustard, and ground cloves with 3 cups of hot water. 3 Add ingredients to slow-cooker, layering them, starting with the salt pork: Line the bottom of a slow-cooker (or a Dutch oven if you are cooking in the oven) with half of the salt pork (pick the fattiest pieces). Layer over with half of the drained beans. Add all of the chopped onion in a layer. Top with another layer of beans and the remaining salt pork. Pour the molasses water mixture over the beans to just cover the beans. 4 Slow cook until beans are tender: Cover and cook in a slow-cooker on the low setting for 8 hours (or in a 250°F oven), until the beans are tender. Check the water level a few hours in, and if the beans need more water, add some. Add additional salt to taste if needed. Note that fresher beans will cook faster than older beans. Your beans may be ready in less than 8 hours, or they may take longer. Best the next day. Serve with Boston brown bread. Hello! All photos and content are copyright protected. Please do not use our photos without prior written permission. If you wish to republish this recipe, please rewrite the recipe in your own unique words and link back to Slow Cooked Boston Baked Beans on Simply Recipes. Thank you! First off, I always soak overnight. Then I turn up the heat all the way with some salted water. Once they reach a rolling boil I leave covered and boil for 2 minutes. Then leave the cover on, pull off the heat and let them soak for 1 hour. Then strain in a collander. Then I take 1 pound of smoked hog jowls and remove the skin, cut into chunks and brown off in a frying pan, during which time I slice up a large yellow onion. Then 1 layer of hog jowls, 1 layer of onion, and 1 layer of beans. Repeat until off of the ingredients are gone. Then pour the molasses mixture over the top, put the lid on the slow cooker and set on high for 2 hours. THEN I pull off the crock pot, wrap foil over the top and put into a 250 degree oven and let go another 2 to 3 hours, checking after 2 hours. They are perfect every time. The sauce is much thinner that I expected. Is there a way to thicken it or perhaps in the future use maybe 2 cups of water instead of 3? Hi Pam, there are so many variables at play here, including the batch of beans you are using (older drier beans will need more water) and the brand and model of slow cooker you are using. If you make it again and it still too thin, I would uncover the pot, put it on high and let it simmer some of the excess moisture away, and then use less water the next time. I do not recommend this. I soaked and cooked my beans for 12 hours on low as suggested and the beans were not cooked. Eating under cooked beans can be dangerous. I changed the cooker to high and 8 hours later they were only mostly done and burnt. I had to throw the whole thing out. Next time I start with fully cooked beans. Hi, Lee! So sorry this recipe didn’t work for you! The culprit when beans stay crunchy despite hours of cooking is usually older, out of date beans. If your beans were in your cupboard for a while, this could be the case. It’s also often hard to tell how long beans have been sitting on a store shelf (or in the warehouse before that). It’s best to avoid beans with a packaged date more than a year old. Hope you have better luck next time! Turned out perfect. I did tweak it just a bit. In addition to the chopped onion I studded a small onion with cloves instead of powder cloves. I also just used regular dry mustard as I had no Dijon, I soaked the beans overnight and then boiled them for one hour. I added less water to start and added more as needed so beans sauce stayed thick. I used thick slice bacon. Thanks for the yummy recipe! You forgot the onion. True Boston beans always include an onion (whole) in the pot, along with the salt pork. My mother would put the whole thing together on Friday night, bake it overnight to have ready for Saturday dinner. The faithful process calls to soak great northern beans overnight and drain. Now put them in a good sized pot, plenty of water, and simmer on the stove until you can gently blow on their skins and the skins break freely. THEN proceed with the crockpot. You can also substitute (real) maple syrup for the brown sugar. Hi John, if after 10 hours your beans are still hard it sounds like you are working with some old beans. The older the beans, the longer they take to cook. John Soto: True ! After soaking 10-12 hours, bring beans to a very gentle boil on the stove top for a 1/2 hour to an hour. Then add directly to a worm crock pot. Enjoy! These sound wonderful! My daughter is a vegetarian so I was wanting to omit the pork. Do you think the recipe will still taste ok? Should anything to enhance the flavor, like liquid smoke? Hi, Michelle! Yes, you could definitely just leave out the bacon to make this vegetarian. For smoky flavor, I think liquid smoke would be great! I’d start with 1/2 teaspoon and add more as needed. Smoked paprika would also do well in this recipe. Enjoy! I love smoked paprika – great idea. I’ll try that! Thanks! I found this recipe looking for how to translate my mom’s classic recipe to a crock pot. I grew up eating them with salt pork, and when I became a vegetarian found that a teaspoon liquid smoke, a tablespoon or two of vegetable shortening, and a teaspoon of salt flawlessly subbed for the meat. Well I am cooking them in a slow cooker. They have been cooking 7 hours now and are hard as a rock! I soaked them over night and they were covered in water. The beans are new, just bought a few days ago. I even turned slow cooker up high two hours ago and still hard. The slow cooker works fine. I don’t know what to do. Supposed to have dinner in a few hours time. Hi, Gerrianne! I’m so sorry this didn’t work for you! Unfortunately, this sounds to me like a classic problem with older dried beans — they just never soften no matter how long you cook them. Even though you yourself just bought these beans, there’s sometimes no tell how long that bag sat on the shelf…or in the warehouse before it got shipped to the grocery store. My best advice for this is to either buy your beans from a reliable source (like Rancho Gordo) or to buy your beans from a store that has high turnover on their beans. You can ask the store manager about this and they can look up how often they restock their beans. Good luck! Hi Gerrianne, so many things can impact the hardness of the beans, including the kind of water you are using. Even though you just bought the beans, they might still be on the old side if the store has had them for a while or they sat in a distribution center for a long time. I would just keep on cooking them. will take about 45 minutes to an hour. 3 cups of water may be too much. They came out with too much thin liquid. I was looking for a thicker sauce. Can’t wait to make this. 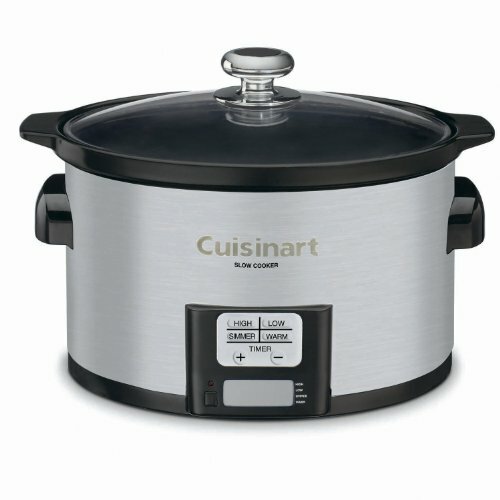 What size crockpot did you use? Hi Jessica, I used a 3 1/2 Quart slow cooker. These turned out great! So easy ! I have never heard of baked beans with cloves. Does it really enhance the flavour? Hi, Mike! Yes, the cloves really do enhance the flavor. You don’t notice the flavor as an upfront taste, but they provide a background note that is really lovely. Enjoy! Mine have been cooking for 9 hours in the slow cooker on low and seem very watery and the sauce seemed like it had almost separated. They taste great but just don’t have the traditional thick sauce I am used to. I don’t need them until tomorrow night so should I keep cooking them or turn them off and see if it it thickens up over night? Hi, Robn! Sorry to be slow to reply. How did the beans turn out? Next time, you could try leaving the lid ajar for a little while as the beans cook to concentrate the liquid. Hope you liked the recipe! Great recipe. I added a bit of baking soda as I wasn’t sure how old my beans were. I also added a few drops of liquid smoke. Amazing! 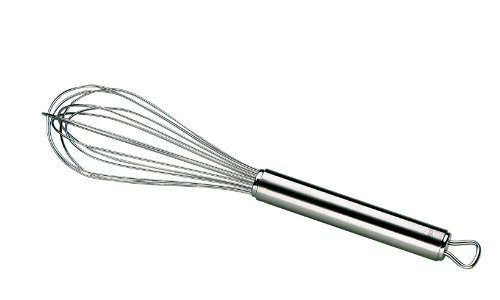 I’m trying this recipe tomorrow but after reading the reviews I have to add this. I come from the south and grew up on fat back (salt pork), for heaven’s sake, feel the pork. If it is covered in coarse salt rinse! If not don’t! That’s why some is too salty and some not. This is my go-to baked bean recipe. I make it all the time, even won a baked bean contest once. SUPPER DELISH!!! I have used this recipe many times and is my go to now for slow cooker baked beans. I like my beans just a wee bit softer so the next day when I go to put the hot water on them I just softly boil for approx. a half hour to 45 min. before I put them in the slow cooker. I also use just a little less brown sugar and add about 1/4 cup of real Canadian Maple syrup. They are always the first to go at a gathering. I soak the beans overnight. Rinse well and boil the beans for an hour. Then I put everything in the crock pot for 8-10 hours. I also add a whole jalapeño pepper and remove it at the end. I made this yesterday,in our slow cooker and soaked the beans overnight first. Followed the recipe but added a bit of honey-baked ham, leftover from Christmas.. Cooked it for about 8 hours and beans (Navy beans) were still a bit crunchy, but delicious. Maybe that’s the way the beans will always be. Great comfort food. Thanks for the recipe. Hi Don, they shouldn’t have been crunchy. They just needed more time in the slow cooker. Beans get drier and take longer to cook the older they get, so depending on where you bought your beans, how long you’ve had them, the cooking time might be longer.